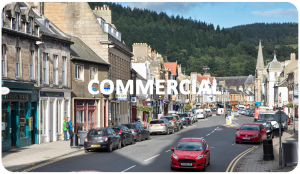 As estate agents based in Peebles, we have expert knowledge of the towns; villages; and surrounding countryside of the local area and beyond. We sell a diverse range of properties, from one bedroom flats to country houses; farms and land/equestrian properties to retail and commercial units. We lead by a strong hands-on management with dedicated and enthusiastic staff. Our reputation for honest client communication, hard work and a desire to offer the very best service has continued to grow. All of this is strengthened by our status as Chartered Surveyors (RICS), which is the benchmark for property professionals.